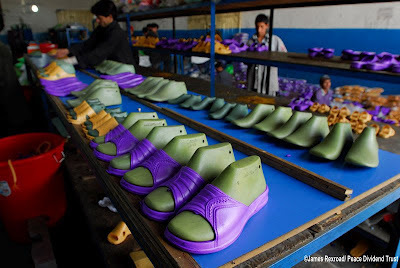 From the reflective to the ironic, from the 'creative destruction of the aid industry' to the 'momentum of the blogosphere', plus quite a few new papers worth checking out-this week's link round-up got it all! Is there are space for Google+ Hangouts in global development? 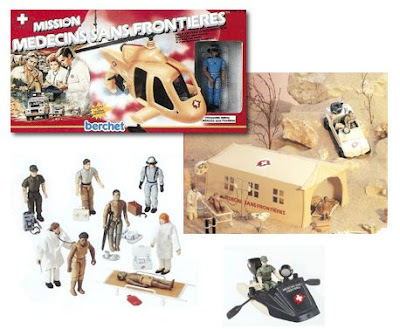 From 1987-1990, MARLEX was the exclusive Licensor of this Humanitarian Organisation (MSF) and launched a licensing program with a complete line of toys and action dolls, and a family board-game. In a word: WOW! There really was a set of toys sold in France to set up your own MSF health clinic-only complete with white doctors and Africans on crutches and stretchers! Great week for lots of interesting material! Make sure you have a glimpse at the articles from and about Nepal and scroll down all to the end for some critical reflections on higher education, upcoming challenges on how Obama is linked to the 'Death by degrees'! 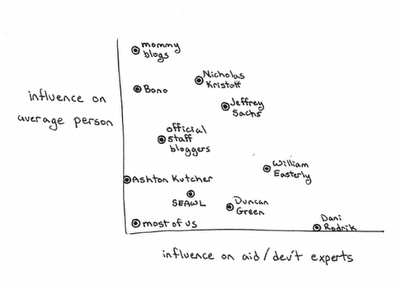 There are also two new posts by yours truly and additional stuff on UN and its link to private security firms and the philosophy of aid blogging explained in neat charts by Aaron Ausland! How useful is the ‘Transparency in Corporate Reporting’ ranking for development debates? Interesting coincidence that I stumbled upon Tom Murphy's post 'The NRA has no clue about the UN' on how an NRA spokesperson ‘discusses’ the UN treaty on fire arms while reading Clifford Bob's latest book. In the end, it boiled down to the well-rehearsed argument from the political right that an unaccountable UN may be able one day to take away fire arms from law-abiding Americans citizens. 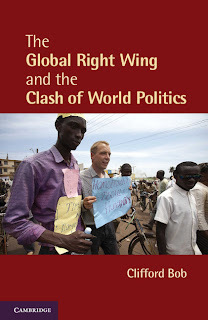 Besides some good, old-fashioned fear-mongering it exposes a key component of right wing lobbying in international affairs: Plant a seed of doubt and see it growing in public policy debates.